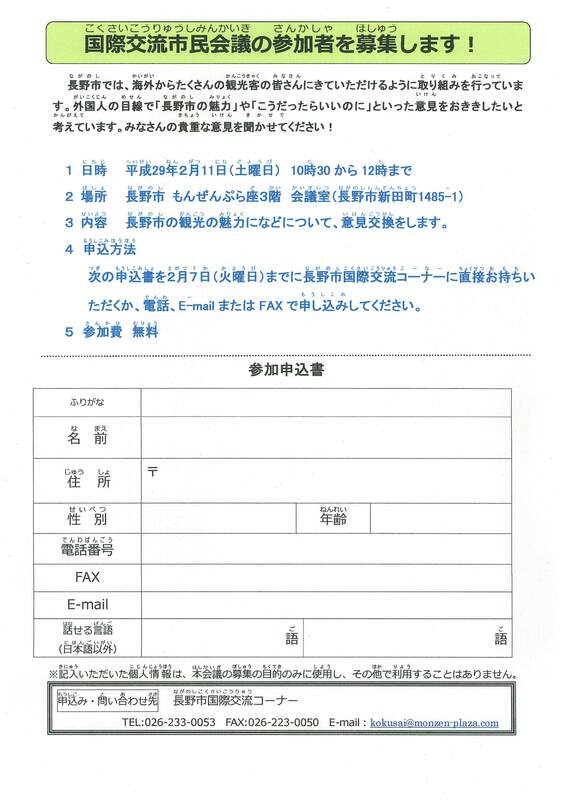 As the number of tourists from abroad increases, we'd like to hear from you about what makes Nagano City appealing and what improvements we can make in the future. Please join us for a town meeting on Saturday, February 11 from 10:30am to 12pm on the 3rd floor of Monzen Plaza. Discover a variety of ways to enjoy miso with this restaurants healthy but filling dishes incorporating local miso. Choices include udon noodles, thinly sliced pork with miso, and fish stewed in a miso sauce. Dishes that come with miso soup include free refills, and you can choose from 3 different types of miso soup! Lunch prices are from around 900~1,200 yen. You can even buy miso ice cream! 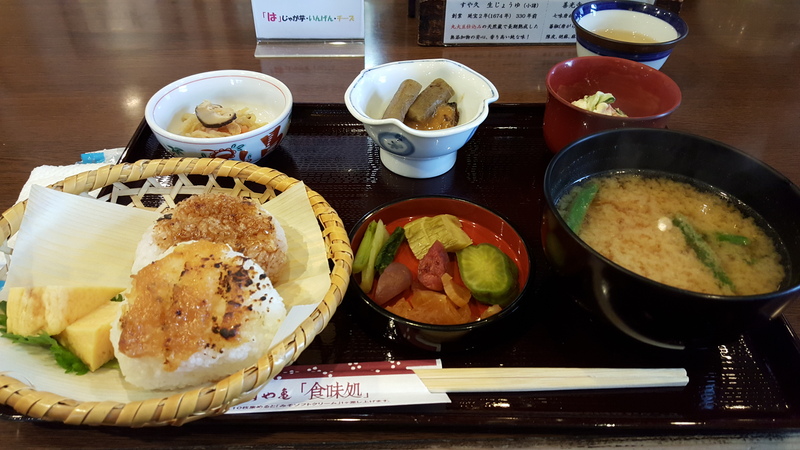 Since the restaurant is attached to a miso shop, you can purchase miso and other products to take home with you. This restaurant is down a side street connected to the main road that leads to Zenkoji Temple. I enjoyed the yaki-onigiri (grilled rice-ball) set which came with one topped with miso and one topped with soy sauce. I chose the miso soup with cheese, fried wheat-gluten, and seaweed. The set also included pickles and other sides dishes.